What’s the Surefire Way to Kill Bed Bugs and the Eggs in Seconds? To kill bed bugs is to save yourself from a lot of problems. However, before you could eliminate them, there are several preparatory steps that you first have to take so you will know how to get rid of bed bugs. With all those problems and pre-elimination work, many think it is better to prevent the pests by using bed bug spray than to let them in and just get rid of them. If you don’t know what bed bugs are, you might think that all those steps to prevent their presence or are exaggerated. But if you have once experienced the problems they could bring, surely you would think otherwise. But bed bugs are unlike any other pests common to houses. They may be flightless, but they are fast-paced. And though they are small, they are sneaky. That means despite your preventive steps, bed bugs could still get into your house. But of course, that doesn’t translate that taking preventive measures is futile. In contrast, it is a great help in reducing the chance of bed bugs to infest. Nonetheless, it couldn’t completely protect you and your home from the said pests. Hence, you must always be ready to kill bed bugs whenever they get past your defenses. As mentioned, bed bugs could bring in several problems. That is the general reason why you need to eliminate them. By eliminating bed bugs, you are basically stopping them from feeding on you or anybody else in your house, even on your pet. It’s true, bed bugs are not known as vectors of diseases. However, their bites could leave nasty marks. Not to mention, to others, their bites could cause allergies and other skin problems. Because bed bugs have become so prevalent in the past few years, many fear they’ll be their next victim. They became so anxious and paranoid of the possible bed bug presence. If you eliminate the pests though, you could have a certain sense of peace knowing that you would not be bothered or bitten them. However, you wouldn’t be able to sleep well for long if you would not kill bed bugs right and continuously do the bed bug preventive steps. So how do eliminate bed bugs properly? It’s by eradicating even their eggs and nymphs. Of all the house pests that you may encounter, bed bugs are probably the most annoying. Primarily, that’s because they are quick to re-start an infestation. And needless to say that will require you to repeat your bed bug treatment, which asks you to spend more money, time and energy. To avoid that, you need to execute a proper bed bug elimination. And by proper, that means you also need to eliminate bed bug eggs and nymphs as in a matter of days, they would hatch and grow. If you don’t stop that, a re-infestation will surely occur. 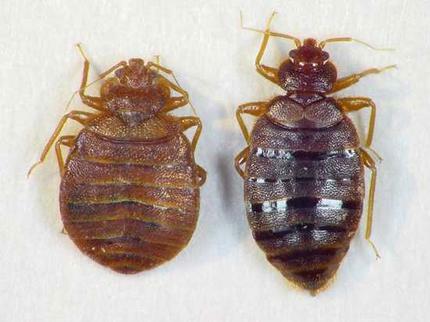 Bed bugs have six life stages from eggs to adulthood. The adults and nymphs of the pests could stay out of sight for months after feeding so they are quite difficult to detect. However, the eggs are much harder to locate. 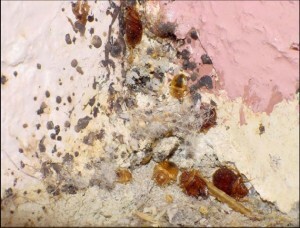 Female bed bugs usually hide them in dark and deep cracks and crevices. The fact that they are very small, makes it even harder to search for them. So, if you need to implement a keen inspection when looking for adult bed bugs, you need to be more canny when looking for their eggs. 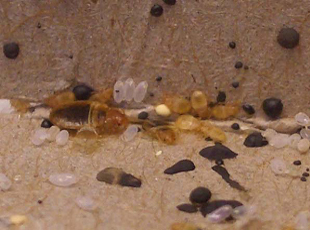 See pictures of bed bugs‘ eggs and nymphs. This will show what exactly you should detect apart from the adults of them. Prepare a flashlight and a stick. They will help you find bed bug eggs easily. Know the signs of bed bugs. Where they usually stay, there they lay their eggs. Read the Latest Bed Bug News! Now that you know why you need to kill bed bugs and why you to have to include their eggs and their nymphs in the elimination, let’s now move to the “what kills bed bugs” part. There are actually several techniques of doing a bed bug treatment. However, you could generally classify them into two – chemical-based and non-chemical-based. In the chemical-based category, there are two methods included. Though we consider the two as different means, they both rely on the use chemical pesticides. The first method is by hiring bed bug exterminators who use strong solutions to eliminate the pests. 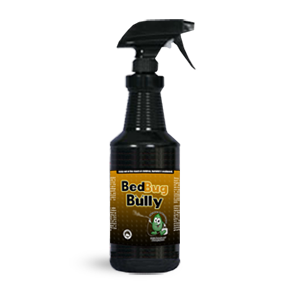 It offers an easy yet expensive and risky bed bug treatment even if the exterminator use the best chemical to kill bed bugs. The second technique is by doing a bed bug treatment by yourself using a chemical solution. Though this method offers quick results and is a bit inexpensive, still this is a risky process. Like the hiring of an exterminator that uses chemical pesticides, it presents several health risks and could cause asthma, allergies, breathing difficulties and even poisoning. Another problem is that, studies about the said pests found out that bed bugs are now becoming resistant to chemical pesticides. On the other hand, in the non-chemical-based category, there are a lot more options. And because they are more friendly to health and the environment, they are generally the better bed bug treatment choices. What methods are included under this category? Heat Treatment – this method kills bed bugs with heat. This could be implemented on clothes by putting them in a drier at a high temperature for 30 minutes. In a room, the use of heating devices could kill even the eggs and the nymphs of bed bugs at certain levels temperature at different durations of time. Ideally, to kill bed bugs in all stages, the temperature must be 115 degrees F or 46 degrees C.
Cold Treatment – as you could easily guess, this method freezes bed bugs to kill them. And just like the heat treatment, this could also get rid even the eggs and the nymphs of the pests. As bed bugs could still survive at -14 degree C, anything lower than that could eliminate them. Vacuuming – though this method could work, it takes so much effort to vacuum all possible bed bug spots. Another problem is that vacuum sometimes could not reach the deep cracks and crevices where bed bugs hide. Use of Organic-Based Bed Bug Spray – thanks to growing going green trend, there are now bed bug products made with natural ingredients. With them, you could now get rid of the crawlies safely, easily and inexpensively. However, you should take note that this method only works if you have the best-selling bed bug spray that kills on contact and is without harsh chemical ingredients. Given the benefits it presents to your health and the health of others apart from the elimination of the pests, it is clear that the non-chemical methods are the better ways to kill bed bugs. But as you might already know, there is more than a single way to eradicate the pests. Which of them should you implement? Considering the process of implementation, expenses, effectiveness and safety of each technique, the use of an organic-based bed bug spray is the best bed bug treatment, correct? But what is the best bed bug solution to get? Well, among others, you would want to purchase Bed Bug Bully. As stated in FIFRA 25 (b), it is a minimum-risk pesticide. That’s because it is made with organic-based products. More than that, pest-control companies already proved that they truly work withtheir continuous use of it. And with its new licensing agreement, you could also now enjoy its effectiveness, safety and affordability. You could prove that yourself too.